It's spring cleaning time in Georgina! The first curbside giveaway day is April 27! Georgina offers a number of year-round activities in a variety of recreational facilities including our many impressive public parks, beaches, forested areas, conservation areas, the Morning Glory Provincial Nature Reserve, Sibbald Point Provincial Park, Keswick Marsh Fish and Bird Sanctuary, museums, craft and music festivals and the Stephen Leacock Theatre. Live, work and play in Georgina! Located in "Getaway Country" in central Ontario on the south-eastern shores of Lake Simcoe at the top of the Greater Toronto Area (GTA) in northern York Region. 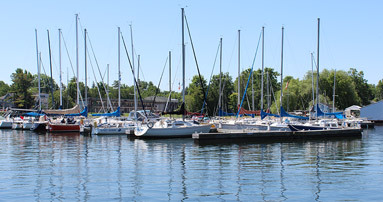 The Town is graced with lakeside living, wide open spaces and scattered sandy beaches.